Aloha: it’s the catch-all word for good, love, affection, and kindness. What better word to describe an event that offers hospitality, food, and fellowship for colleagues, friends, or family. 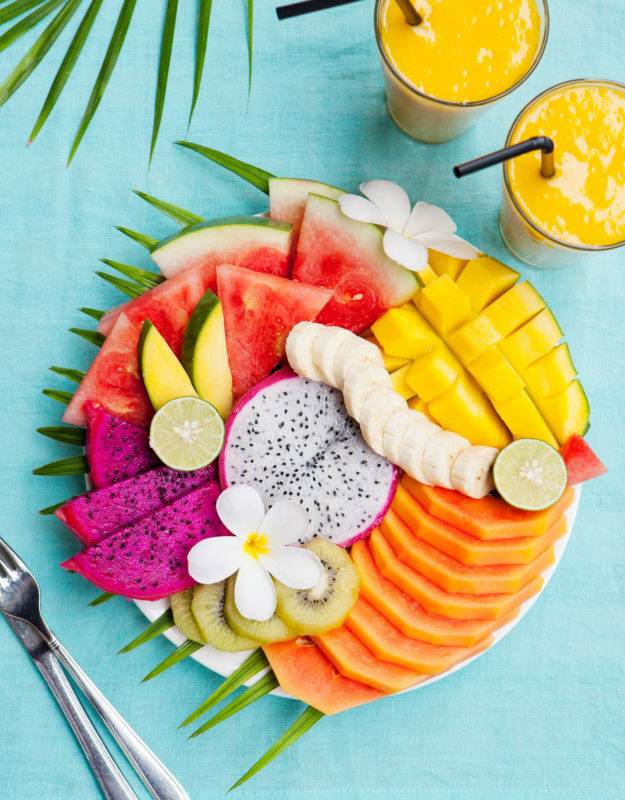 Throwing an Hawaiian-themed party can go one of two ways: a classy display of luxury and relaxation, or a tacky signal that the planner was inspired by a low-budget Hawaiian restaurant. Here’s how to avoid the latter. 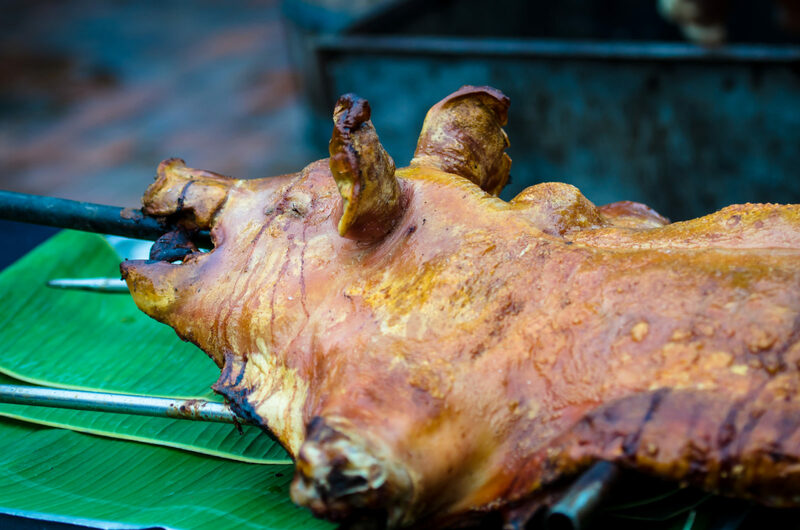 Dining on the Islands is a sight for the eyes as well as the taste buds. 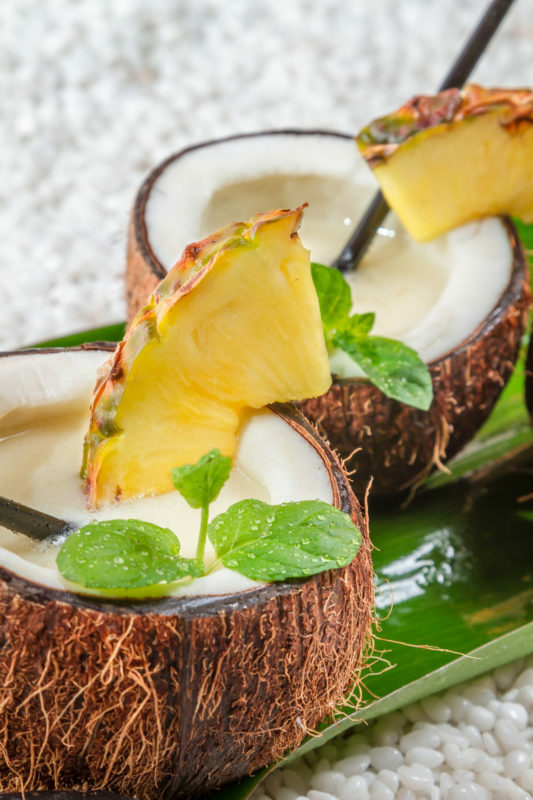 Take your coconut drinks to the next level with personalized cups made from branded coconut shells. 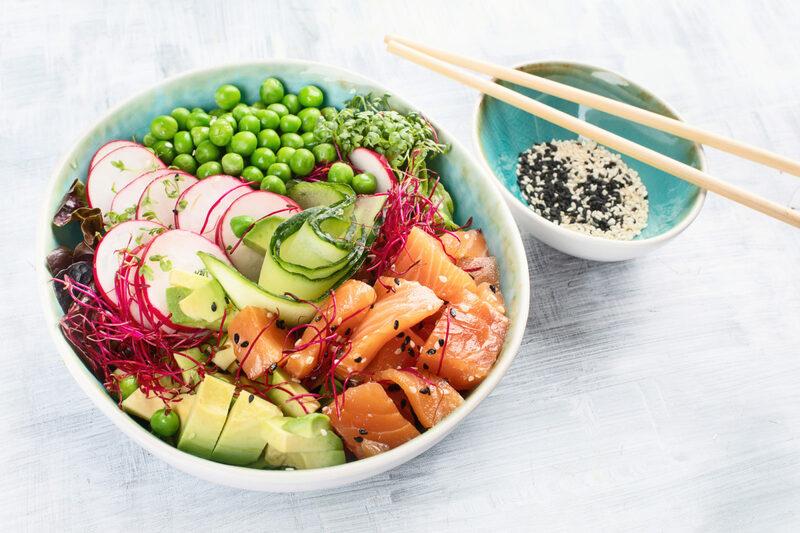 Ride the Poke wave with cracker-mounted poke bites or rice-based poke bowls. 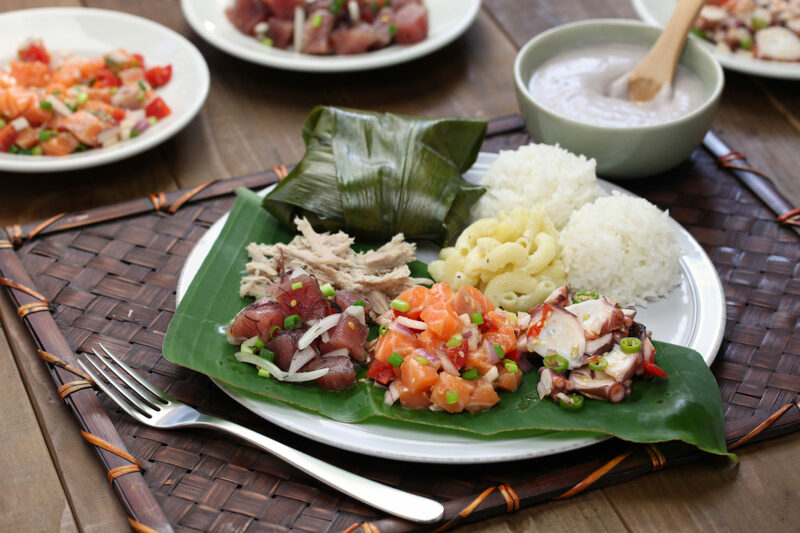 Show your guests a different side of barbeque with the unmistakable taste of Hawaiian BBQ. 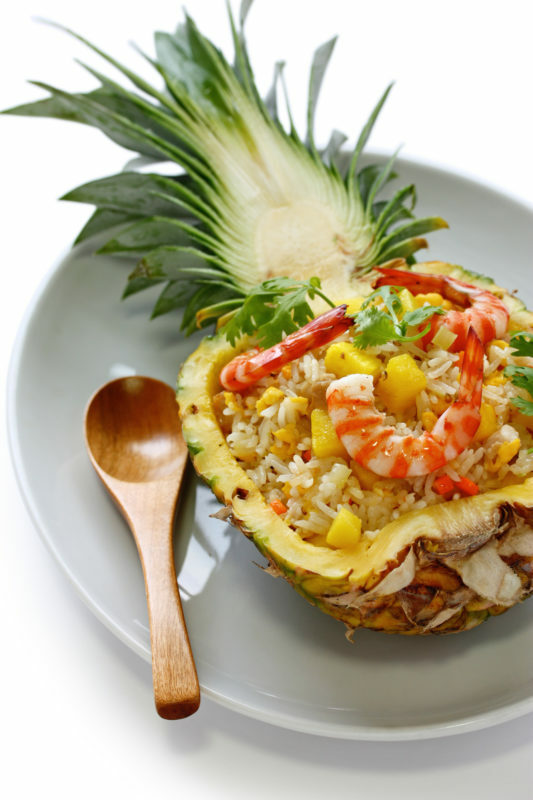 Embrace everything pineapple, from pineapple upside down cake to savory pineapple main courses. Make your dishes look as good as they taste by serving them on large, food-safe leaves. There’s a reason honeymooners flock to Hawaii for their most memorable getaways. Well, several, actually. But among them is standout entertainment. 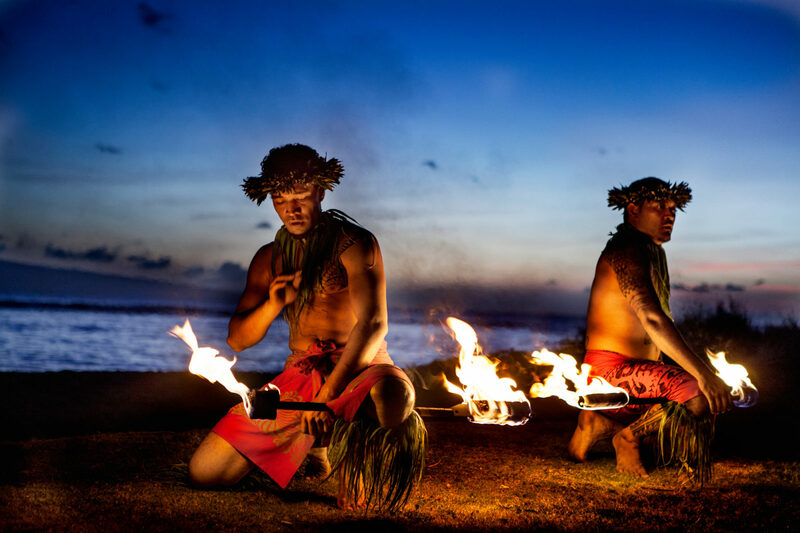 Give your guests an evening of luau with a few quality entertainers. Fire throwers may not make your insurer happy, but they’ll wow your guests. Who needs a mere hula dancer when you can offer hula lessons for all? The music of the islands wouldn’t be the same without a ukulele. Let’s face it: there’s one reason the world flocks to Hawaii: the ocean. When you can’t replicate white sands and blue waters, you can establish a pretty good Plan B with some of the Islands’ other breathtaking elements. Nothing sets the tone like greeting guests with leis. To create separate areas in a large venue, partition the room with palm trees. For an outdoor event, line the perimeter with tiki torches. Make a cart, bar, or buffet festive in an instant with a grass roof or skirt. 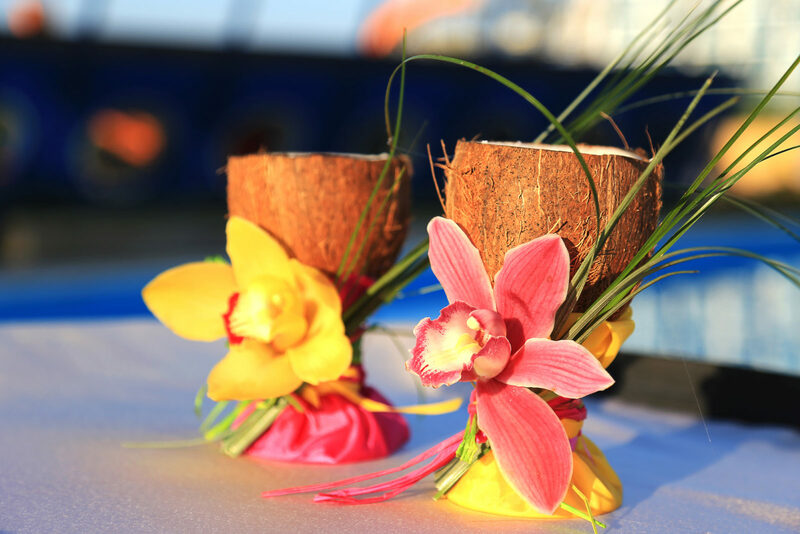 Line tables with centerpieces combining flowers and tropical fruits.